St Petersburg’s burgeoning art scene is thriving, and even during the hottest months, the energy and enthusiasm of the local art scene continues to blossom. We at Duncan McClellan Gallery & DMG School Project are honored and excited to be a part of the Arts & Culture Festival for the month of September 2016. Saturday Sept. 10th – 5-10pm – 2nd Saturday Art Walk (Warehouse Arts District) Opening of the glass show “All Star Cast”. 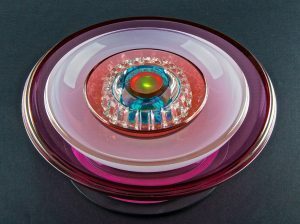 Featuring cast glass works by many of our talented artists. Saturday Sept. 24th 12-4pm – St Pete HotGlass Workshop “Little Dragon” Mobile Glass Unit. Again we are so honored and thrilled to be sharing our passion of glass with the city of St. Petersburg and look forward to this wonderful month celebrating the arts.